The pile drivers have arrived and are being assembled and the paperwork for the permits to start driving the piles to support Uber’s future worldwide headquarters building, which will rise up to eleven stories along Third Street in San Francisco’s Mission Bay neighborhood, adjacent to the embattled Warriors Arena project, has been filed and triaged. 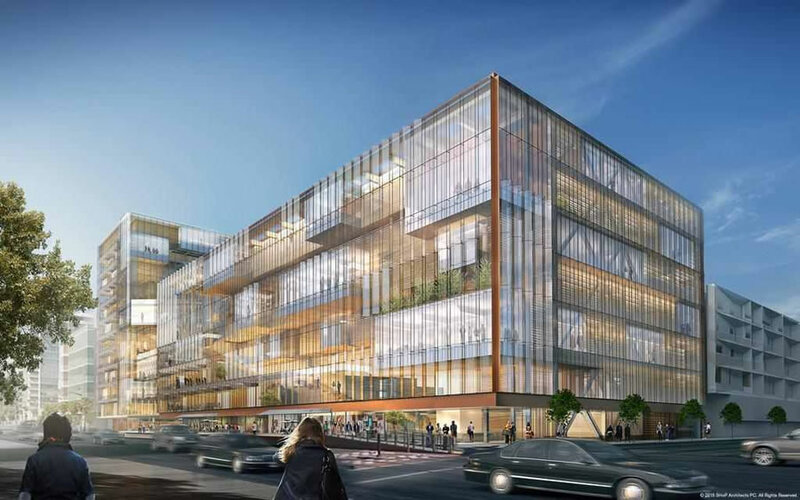 Designed by SHoP Architects, the 410,000-square-foot tech campus is being developed in a partnership between Uber and Alexandria Real Estate Equities. And based on the latest project schedule, Uber’s new campus and Privately-Owned Public Open Space (POPOS) should be ready for occupancy by mid-2018. Another bland box. 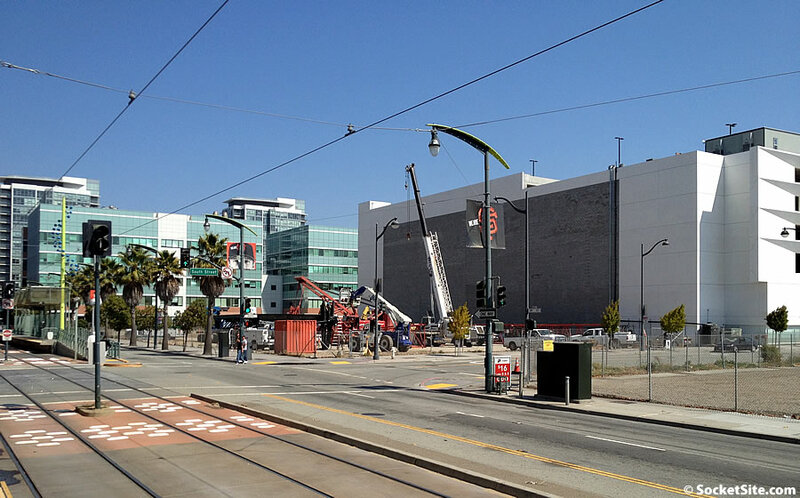 Absolutely unimpressive but hey, it’s institutional look will fit right into the underwhelming Mission Bay. SF must be a sweet gig for architects – they don’t even have to try. The only positive thing is the POPOS on Bridgeview. But even that does not save this design. I’m guessing that’s how developers maximize square footage for highest profits possible. Why bring in SHoP architects if this is the result? Scary thought – these renderings are made to look better than the final product, in general. If it looks this bad now, what awaits us when it is actually built? If this is what you consider to be a “bland box”, then you really don’t seem to understand modern urban architecture. SHOP does some of the most innovative, efficient, functional, interesting modern buildings around. I wouldn’t call this bland, but I would say the rendering style is not very specific, so I am not sure what this will look like built. Agreed, it’s hard to say how that translucent facade will appear in real life. There appear to be a lot of projections and recesses, but it’s not clear whether that plasticity is enclosed within an unarticulated box, or what. We’ve seen bland boxes before. This isn’t a bland box. So Oakland being an Uber landlord will be short lived? More likely, Uber will be the landlord to other tech tenants in this difficult to reach space. Sarcasm? How is this a difficult to reach space? Blocks away from Caltrain and on the T line. Uber just wants offices everywhere. Their existing HQ at 555 Market is literally on top of a BART station. This site is a 20-minute walk from any Caltrain station, and most of the northbound trains skip 22nd street so you have to ride all the way to the terminal, adding about 7 minutes to your trip. The T-Third line won’t be synchronized to Caltrain arrivals and will operate with 10-15 minute headway most of the day (with the occassional 80-minute gap thrown in because Muni). It’s a 15-minute bike ride from the ferry terminal to 1500 3rd, twice as long as the bike ride to 555 Market. I think calling this site relatively inaccessible is fair. Uberites can uber to Uber HQ (UHQ). Being next to a multi-story parking garage and a few blocks from a freeway ramp makes UHQ very accessible for their drone fleet, human and autopiloted. FWIW, 280 along MB handles more than an order of magnitude more people than the two nearby Caltrain stations. Its not difficult to reach…but great strategy… Uber employees can take an Uber ride there! Uber will have their HQ with exec staff and engineering critical mass at the SF office. They’ll use the Oakland office for more operational staff. The Oakland project is often miscommunicated (not by Socketsite but by others) as “Uber’s new HQ”. It has never been billed that by Uber, it is an expansion. The Oakland project is Uber’s offshoring of low-skilled jobs. They should site it so it blocks a bike lane. I declare that you have won the Internets for today, sir or madam. I second that notion. Interweb winner for today. Pretty sad for a HQ. Then again, we’re assuming Uber is going to be around in time for its completion. If they would only go public, so I could short them! Uber is an app company that connects riders with drivers. The future, when driverless cars take over, will be to connect riders with cars. The app part is easily duplicated. In this scenario, the auto makers will have the competitive advantage. Uber has partnered up with Volvo but Lyft has partnered with GM, Google with Chrysler, and Ford has acquired its own Israeli startup. Can they add enough value in this new environment to justify their current valuation? Uber already connects riders with cars based on location data. The driver is a side effect. If Uber was an app to connect riders to drivers it would be more like Tinder. They rely on the driver to buy or rent the car, huge difference. They absolutely do not “rely” on that. You really don’t get it. Again. So are you saying that Uber owns their own fleet of cars, or that the drivers are using something other than cars? I’m saying that if you think Uber’s success relies on drivers and their cars because “the app part is easily duplicated” then you are as knowledgeable about Uber and their $66B valuation as you are about all the other topics on which you post here. You are lost. Uber does not own any cars, if they did, then they would be no different than Yellow Cab. Like someone else said, they are a logistics company, and also payment processing. First they match riders with drivers through the app, then they help the driver collect the payment, and then they take a percentage as a fee. In the future this will all be vertically integrated, the same company that manufactures the driverless cars will offer the logistics and payment through its own app. In this scenario Uber is facing a slew of much tougher competitors as I outlined above. Of course the app is easily duplicated; not long after Uber came out, Lyft and Sidecar copied it, and worldwide there are many similar copycats such as Didi in China and Ola in India. @Sabbie, I know its off-topic, but I see Uber as a spin on a logistics company. Much as I dislike Uber, I suspect it will still be around. It has a ton of money. But if it isn’t, someone else will move in. Uber’s losses in the first half of 2016 totaled at least $1.27 billion….Uber has lost money quarter after quarter. In 2015, Uber lost at least $2 billion before interest, taxes, depreciation and amortization. Uber, which is seven years old, has lost at least $4 billion in the history of the company. Uber has about $8 billion in the bank and will soon receive $1 billion in cash from Didi, according to a person familiar with the matter. Uber also has access to a $2 billion credit line and a $1.2 billion loan. So it’s a standard Tech Bubble 2.0 (or is it 3.0) company? POP. Not to parrot Dave, but I am skeptical this will ever be built. … and as long as they have the civil-rights-and-homosexual-and-women-loving house of saud to pump billions into the company then they’ll perhaps never ever run out of cash. the saudi money alone should be enough for anyone to run as far away from uber as they can get, but if it’s not then there’s now a saudi royal on the board to get you moving. I agree. I refuse to take Uber myself (for this and many other reasons), but once the Saudis give you $3.5B, they’re a lot more like to chip in another $3.5B later, and another. Uber is actually transformational for those of us who cannot always drive ourselves around for whatever reason. The near-instant availability of a ride combined with significantly lower fares has changed the lives of many people who can’t or don’t drive. Uber and Lyft have also been “transformational” to Bay Area traffic and congestion. Also to increased air pollution. I have noticed how much our air is resembling LA’s in the past few years. Can’t even see the East Bay hills this morning from the financial district. Interesting how Tech buses proudly advertise they take 120 cars off the road (very green and sustainable), but I hear little dialogue in city politics about how many cars Uber and Lyft have added back to our already congested roads. Also fascinating is the position of folks who think parking should be limited in new developments – yet think nothing of hopping in an Uber of Lyft. Where do they think the drivers park at night? So wait, your claim is that ridesharing has increased cars? Saying that car sharing has added to pollution makes zero sense. Not true. I’d say half the people I know who used to take the bus to work now uber or lyft instead. Same people are less likely to walk when going 5-10 blocks. There are numerous articles about how ride sharing has increased AUTOMOBILE traffic in urban centers…..especially New York and Chicago. I’m surprised that so many are surprised by this. The Wall Street Journal just had an article about how ride sharing income is INCREASING auto ownership among younger people who use it as a way to financially justify their first car purchase. The article claims that many of these drivers would have selected to not own a car 10 years ago. Most ride share drivers do not fit what was the typical urban auto driver profile, and many do not even live in the city. Using the term “ridesharing” is disingenuous. Maybe 5 years ago, but not now. Uber is a taxi service which is why it puts more cars on the road to service people–so yes, pollution increase and traffic increase. Uber was a godsend because the corrupt taxi cartel and their crony taxi commission had a stranglehold on the City and now it’s broken. I’ll bet the amount of traffic added by Uber is a wash, I think more people ditched their cars once they could rely on getting a car when they needed one. Parking actually seems easier than it used to be in the richy rich neighborhoods D7 and D8. I do wonder how many of these sub prime auto loans, which now make up 25% of all car loans, have gone to Uber and Lyft drivers. And how many will be paid back when the economy slows down. I take Lyft, not Uber, but I’m always delighted to take them and not a taxi. I wonder….if SF had a decent taxi system, would Uber ever have got started? Uber is more of a road sharing than ride sharing service. Fire up their app and checkout the herd of uber cars free loading on the public streets of the SF CBD during the workday. Wonder how the many of them adds to the congestion and slows the actual mass transit service. As for where they all park, well quite a few of the ones roaming SF now will park at their owner’s abodes in the east bay tonight. doubt it. uber pool, which a lot of people use, is car sharing, one. two, the ease of uber has made it so a lot of would be drivers don’t need to drive. three, uber has won and taxis have lost, so less taxis are on the road. as to the argument that all sorts of locals are actually buying cars so that they too can be uber drivers? in SF? doubt it. Uber didn’t invent carpooling. ~34,000 San Franciscans carpool to work and an even larger number of people car pool into SF from the outer boroughs (mostly via the Bay Bridge). Way back in the darkness before the dawn of Uber people actually car pooled more in SF and the Bay Area than they do now. Even in the peak of the dotcom time-is-money-frenzy, San Franciscans carpooled more than they do now. Could it have anything to do with Uber lowering the cost and raising the convenience of (don’t call it) livery vehicle service hereabouts? Ya think if the many data wizards of Uber could prove they reduce congestion in SF, they’d keep it a secret? doubt it. I certainly didn’t and don’t argue that “all sorts of locals are actually buying cars so that they too can be uber drivers.” Maybe some do, but far more of the Uber drivers clogging the SF CBD are residents of the east bay that already owned cars and now drive them for hours tolling the scenic byways of our little seaside town. No doubt ’bout it. East Bay, ha, the last Uber driver I had came out from Placerville. Lots of SF residents may not be buying cars to drive Uber, but I’ll bet lots of other folks are, and I’ll bet it doesn’t end well. Increasing congestion in the SF CBD is very different than increasing the total number of cars in circulation or increasing air pollution. The total number of cars and light trucks registered in SF and in the Bay Area are at an all-time high, both in absolute numbers and per capita. The total VMT in the USA is also at an all-time high. Plenty of blame/responsibility/highfives/whatever to go around. I suspect people exaggerate the impact of Uber wrt to the metro area, but underestimate it wrt to the CBD, which has the highest density of clients and street-level congestion with or without Uberization. Uber is not just taking trips from private vehicles but from walking and transit. Someone who would be inclined to budget an hour for a trip on a slow bus might switch to Uber and cut that time in half, but that adds a car on the road. San Francisco street space is a scarce commodity for which many users compete. The supply is fixed and cannot increase. Uber/Lyft is the only competitor that is allowed to sell this commodity to the highest bidder. (Cabs are limited to a fixed portion of the street space, and the value of that street space is shared between the owners and riders by limiting fares.) Effectively, Uber is seizing this commodity from the public and appropriating its monetary value to itself. Each Uber vehicle should be required to carry a medallion purchased at full price from the city or from an existing owner. Karl Marx, is that you? When SF had the medallion system, we had Soviet style taxi service. Waiting on the curb for two hours in the rain only to endure horrible service. I suspect a taxi shill here. Consumer demand and competition should drive the market. If there are external costs, they can then be mitigated in various ways. Sabbie, either that or someone who wasn’t here when the Taxi Commission had a stranglehold over the number of medallions. Anon94123, you may not remember, but it was literally impossible to get a cab in much of the city. Impossible. You would call the dispatch and wait and wait. After some period of time on hold (5 minutes? 10? 15?) you would sometimes talk to someone, or sometimes they would hang up on you. If you did order a cab, you would then wait on a corner for some other period of time (5 minutes+). Sometimes a cab would show up, but often not, and you would just….keep…..waiting. The taxi service has always sucked in San Francisco….as does most of the public transit, and that is why I own bikes and a car. My point was not to defend taxis, but to question the increasing flood of Uber drivers who spend over 35% of their time (according to Streetsblog) circling downtown streets searching for fares. I am reading many articles that are showing that Uber has increased congestion and I therefore wonder if these drivers from Turlock, Fairfield, Antioch etc. should not be required some type of street usage fee for when they come to collect fares in San Francisco? I would not be surprised if 50% of the vehicles circling Union Square are not Uber drivers, just look for yourself. So is the total population. VMT per capita is not at an all time high. yes, currently within 2% of the all-time high US VMT per capita. Should set a new high in 2017 or 2018. Been a long slow economic recovery. BTW, VMT per capita is strongly correlated with income in the USA. As we become wealthier we drive more, as herd if not individually. Indeed. Still impressive that we’ve increased per capita income substantially compared to the previous VMT per capita high, if we do indeed set a new high in a year or two. In other words, the relationship between income and per capita VMT is not nearly as strong as it once was. US per capita income has been increasing faster than VMT per capita for about 20 years. Before that it was about a 1 to 1 growth rate. The simplest explanation is the yuge increase in American’s working from home. ~40% of all net job growth in the USA since 1997 has been a job that allowed the worker to work from home at least one day per week. Before 1997 only ~7% of all jobs allowed the worker to work from home at least one day per week. Most likely the work-from-home boom is due to better communications technologies, particularly the Internet. The cheapest way in the Bay Area to increase GDP without increasing traffic is more bandwidth to the home. Come on guys. VMT growth and gas prices have an almost perfect inverse correlation since 2009. In the USA, VMT is more correlated with economic growth (GDP) than gasoline prices. At the household level it is correlated with income. On average in the USA, people with more money have more cars and drive them more miles. Sorry but look at this chart. It doesn’t get much cleaner than this. From 2002 to 2005, gas prices and VMT rose together, THAT is economic expansion. From 2009 to present, inverse correlation with gas prices. FWIW, real statisticians have studied this relationship and published on it for a long time. VMT is well correlated with GDP. Before 1997 it was nearly 1 to 1 correlated, meaning 3% increase in GDP was matched with 3% increase in VMT. Since then it has been more like 3% increase in GDP was matched with 2% increase in VMT. I attribute the change to the Intertubes and cheaper and better connectivity generally (mobile…). 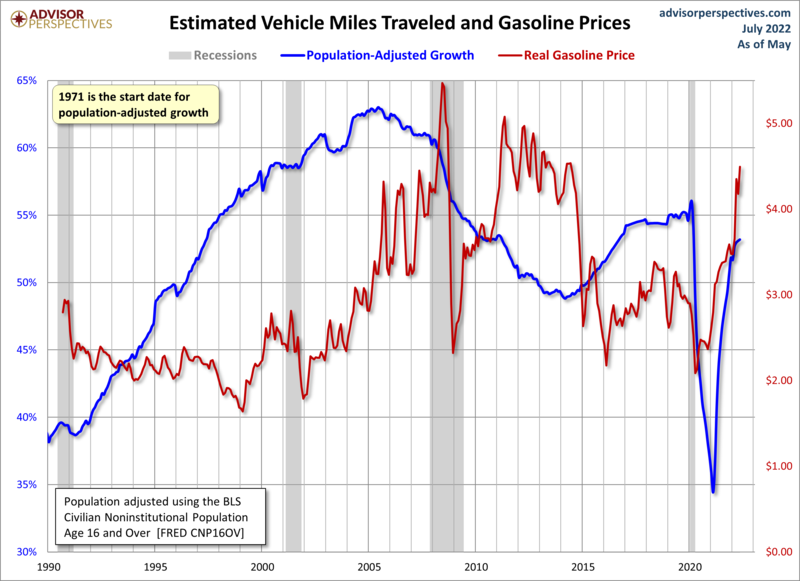 VMT and GDP are much more correlated with each other than with gasoline prices. BTW, if you think that chart shows good correlation inverse reverse or otherverse, then you either need a new optical prescription or better grasp of statistics. Um no. He also says: “that said, the sharp decline in gasoline prices that started in mid-2014 has been accompanied by a conspicuous rise in miles traveled.” The precursor to the mid-2014 move was the late 2010 move- as gas makes a sharp move upwards, we see an immediate sharp move downward in miles. When you filter out the noise and focus on the big moves, it looks pretty clear to me. Bay Area people like to believe the MSM narrative that the economy is doing great, but for 85% of people and much of the country, it’s in the dumps. Many indicators are already squarely in recession territory as can be seen here. Your/his chart clearly shows VMT began increasing months before the big and sustained gasoline price drop of mid-2014. Again, your initial claim of “an almost perfect inverse correlation since 2009” is demonstrably false. If you think otherwise, then please compute the correlation between the monthly USA VMT and monthly average price of gasoline in the USA, any grade of gas will do. The reason we have these methods is to not have to rely on the clarity of your obviously impaired vision. The relationship in the USA between VMT and gasoline prices is very well understood. Not by you apparently, but available to any reader that wants to seek out the publications. FWIW, I apply noise filters to everything from analog signals to big ol’ piles of data, as they say for a living. Unless you can respond to the obvious errors in your interpretation, it will be time to apply one to your postings on this thread. The era of the iconic Seagrams type HQ is over. This will actually be a beautiful building. The details are looking good. You can’t see it all from a rendering. This will not be a typical bland box designed by Planning rules. @Futurist – I am not particularly a fan of modern architecture, though I can appreciate and admire it when well done. As in the Chenery home in Glen Park. The problem is, as modern architecture goes, SF is getting the draft. SHOP may due innovative and interesting buildings but this ain’t one of them. Traditional architecture, derived from columns, pediments, arches and other features evolved by trail and error. Teaching each new generation best practices built yes, dare I say it, on the Greco-Roman architectural foundation. Architecture evolved over centuries built around the sensibility for intimate, human facades. But in the 20th century, and now, new ideas took over and the public has been subjected to endless experimentation and vanity projects. The way new buildings look is not influenced by public taste, which is generally classical, its instead the purvey of municipal and institutional committees design review panels and architects who cater to the tastes of the “de jeur” architectural professionals and academics who protest at any deviation from the elite fashion of new building design. Detroit is coming back and part of that is because of home grown Detroit billionaire Dan Gilbert. He is trying to resurrect Detroit as a destination venue in which to do business. He funds private security 24/7 that provides a sense of security to downtown Detroit. Oh, he too has been buying up all the remaining downtown Beaux Art and Art deco skyscrapers. For a reason – he is not tearing them down to give you a clue. 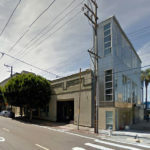 Modern architecture has its place and done well can be appealing – the problem is San Francisco is foisted with boxes that claim to be modern architecture but are banal efforts to build as cheaply as possible and maximize profit. IMO. This actually may be the most ridiculous thing that you’ve ever written – and that’s saying something. My prediction? Detroit drops below 600k by the next census. Detroit is definitely coming back, but it’s coming back from a bankruptcy and severe depopulation. Success, for now, is that their beautiful downtown core is growing, that a few nearby neighborhoods are slightly gentrifying, and that the rest of the city isn’t actively getting worse. Oh, and that they’re out of bankruptcy and more streetlights work. Success in Detroit is that the population is dropping at it’s slowest rate in years, and population growth could conceivable return within a year or two. In other words, success is very relative. To clarify, Detroit is trying to come back. And I am sure you wish they are able to do that. Its not just Gilbert – who is building a streetcar line in downtown Detroit’s main boulevard, it’s Ilitch and Moroun. And others. Who believe in Detroit. They are to be applauded. But it is more. Read up on Grandmount Rosedaale. Grandount-R does not have Gilbert, but they have each other and believe in Detroit. Those residents who stuck it out are seeing a reversal of the decline. Finally. 2016 is projected to be the first year in 60 years that Detroit has grown in population. Don’t sell Detroit short. None of us knows what will happen, but to look with disdain on a city where businessmen and women and neighborhood folks are trying to recapture the “Paris of the West” – on which Detroit was modeled – is San Francisco hubris. IMO. I wish Detroit the best, but there’s still a ways left to fall, IMO. Bankruptcy was a good first step, but I don’t think there are many indications that the down escalator has been reversed yet. Which, if one is a real estate investor, makes Detroit a good bet now. Actually it is on the way up. Just starting – making it a good investment for those so inclined. If I was a young techie I’d definitely give Detroit a second, third and fourth look. Beautiful housing options (affordably cheap by any measure) abound. The downtown art deco towers being rescued (a big thank you to Dan Gilbert) will make Detroit an art deco mecca. Don’t knock Detroit. Its future is brightening by the day. Agreed. Detroit may soon again be a bright shining jewel. I hope the best for it because it has a lot to offer. So for someone who is not a fan of “modern” architecture, you sure do have lots of opinions about it. Your comments are full of generalizations, without fact. So the public prefers classical architecture? To me “modern architecture” consists of the countless abominations designed and built in the post war period and ending in the late 1960’s. This. I’m surprised Futurist isn’t making the distinction between modern and contemporary. As an architect, you’d think he would know modern = time period in design and contemporary = anything built now. Not true at all. The Glass House designed by Philip Johnson in 1949 was done in the “modern” international vernacular, and it was “contemporary” then. (as an example). It still is both today. 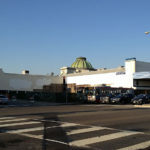 Oh good, the April post mentions three retail spaces (presumably facing Third). I was afraid for a second there was no public use on the ground floor, which would be awful. Now let’s vote out the slow-growth “progressives” so we can build enough housing for these new Uber employees instead of them displacing people. Not sure why there’s so much criticism against the architecture. It looks quite nice. Reminds me a little bit of the new LoSchiavo Center at USF. It’s not breathtaking, just a mid-rise office building. However, the rippled glass effect with the wooden backdrop will be very interesting to look at. What will be the expected population of this 410,000 sqft building? 1500 ish? Good news for restaurant life on 4th St.
Based on prevailing ratios for tech space utilization, that 410,000 square feet is likely to host over 3,000 employees. Will the building conform to the zoning and construction codes? Uber doesn’t follow any other regulations. Why should they follow these? Has Uber considered bike parking for staff?